IIAEM students of Aerospace Engineering won the 1st Place in Aerodominator 5.0 Competition held at Vellore Institute of Technology. 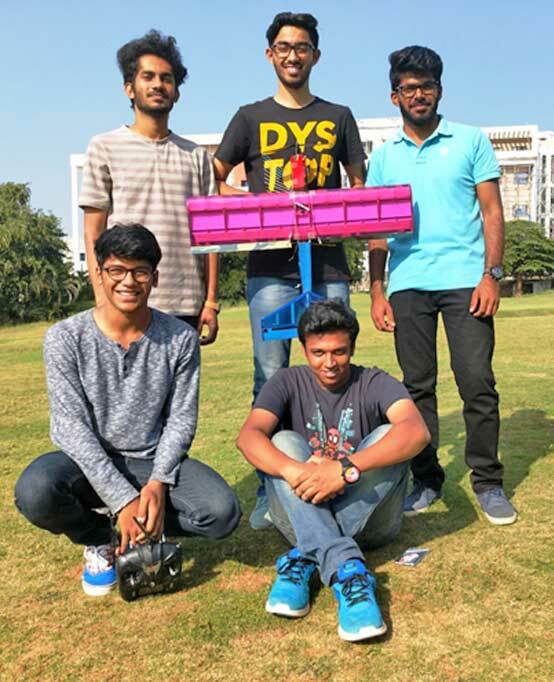 The Aerodominator 5.0 competition was conducted by VIT on the 13 October 2018. The students from Team Jatayu (5th Semester Aerospace Engineering students) participated in the competition. The challenge was to design a fixed wing UAV which could carry the highest payload weight with the lowest empty weight. Team Jatayu's UAV carried a payload of 1050 grams and secured a payload fraction of 0.72, thus securing the First Place. They were also awarded for the Highest Payload Lifted and for the Best Design Report.